I can’t quite believe we’re in the latter half of February and I’m just doing my second Closet Mission post of the year. So let’s dig back in shall we? I’m going to start things off with a quick recap of where I’m at with my 5 part Closet Mission for 2016. I’m rating myself out of 10 to gauge how each goal is coming along. 1 | Reduce – This is one goal I’m making great strides with! I’ve just reduced my spring/summer closet to 50 items, more on that below, and I’ve been really good about not shopping. Aside from a few books and natural skincare products I’ve been keeping my bank account on lockdown. Of course an expensive vacation and property taxes coming due is also a factor! I give myself 8/10 for this goal so far. 2 | Create – This is one goal I want to improve on A LOT. I need to get serious about my sewing skills, I just haven’t found the fabric I want! That said, I have finished decorating my office and that was a major task. I’ll go easy and give myself 4/10 on this one. So that’s my current Closet Mission assessment. 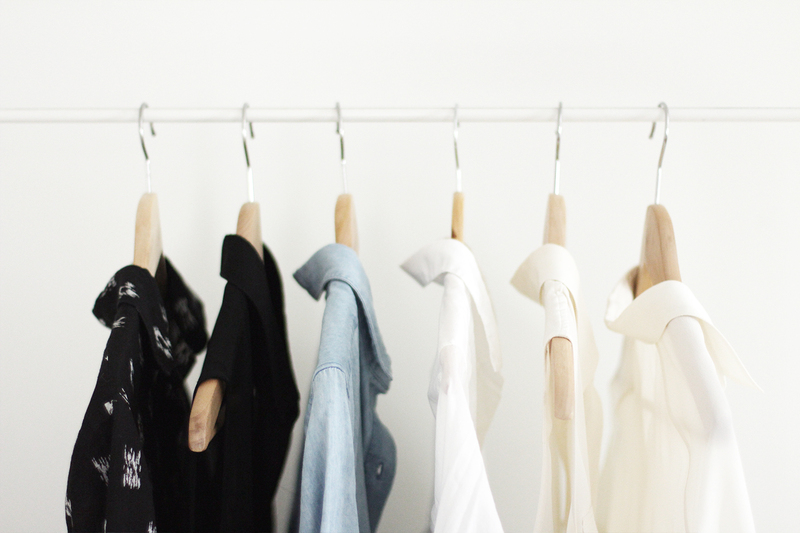 Now it’s time to talk wardrobe editing! Capsule closets are ALL the rage right now. To the point where it’s getting a little bit annoying, if I can be totally honest. 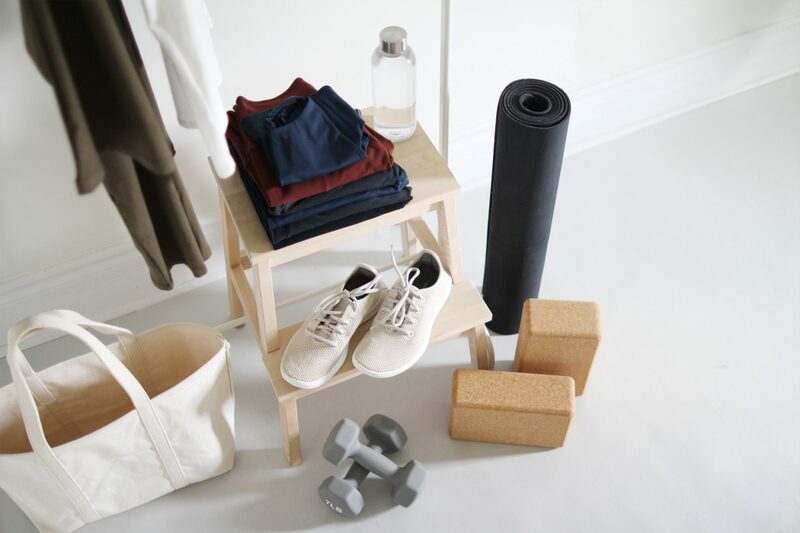 Don’t get me wrong, I’m still 100% on board with a less is more style philosophy and still a complete convert when it comes to lean closet living, I just want to make sure I’m not getting caught up in the frenzy of it all. You may know that I’m weary of trends at the best of times, so when a trend involves my entire closet I get downright skeptical. The Lean Closet vs Capsule Closet debate has been an internal issue for me for a long time. But I’ve finally come to a conclusion, which is that I know I do not want to be a full-time ‘capsuler’. I think my biggest issue was that I felt like should want to or I should do it for the blog but if you’re heart’s not in it, it’s just not in it. That’s not to say anything against all the people who are doing it, in fact, I admire you! I just know that for me personally it’s not sustainable. I also feel that I’m at a point with my style and spending habits that a ‘lean closet’ is going to be the best long-term approach. I don’t want to live season to season when it comes to my style, I just want to live life as it comes and let my style evolve with me. That being said, I believe without a doubt that a lean closet is the absolute key to wardrobe and style contentment. So that’s what I’ll be focusing on going forward. To achieve a bonafide ‘lean closet’ I decided to vigorously and deliberately edit my stuff. Like, really dig in and get rid of anything I don’t absolutely LOVE to wear. 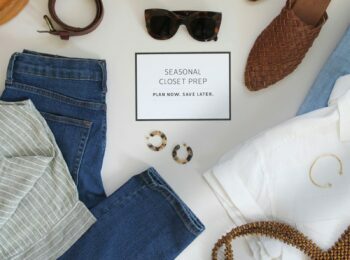 Earlier this year I wrote an article for Poppy Barley on 5 Steps To A Successful Closet Edit and took my own advice on how to properly clean out my whole Spring and Summer wardrobe. I set my goal at 50 items of clothing and began sorting. After filling one giant IKEA blue bag and an a additional huge paper bag I had whittled my collection down to 50. Which in reality, still seems like a lot, even though 1/3 of my entire closet is on it’s way to consignment. Which brings me to where this whole lean closet thing is headed. Why 50 Items? Good question. I knew anything under 40 was going to make me squeamish as I’ve spent a lot of time, effort and money building the closet I have and anything over 60 was basically tip toeing back into overflowing wardrobe territory. 50 felt small enough that I could easily recall everything I own while still feeling like I have a broad range of options and room for special items and style flexibility. But really 50 is just an arbitrary number that felt right and could serve as a benchmark. By the end of the summer it may not be anymore and I’ll adapt accordingly. What goes? This is where I was ruthless. Anything I’m not ready to wear again tomorrow or really excited to wear as soon as the weather permits is out. Anything I wore less than twice last spring/summer got the boot too. If I feel at all uncomfortable in an item it’s gone. 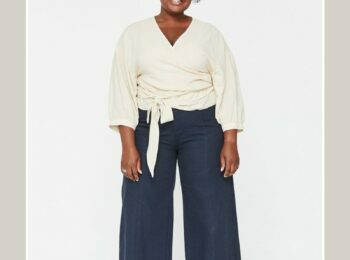 For example I had a great pair of high rise, wide leg pants but I felt like I couldn’t sit down in them because they’d wrinkle like crazy and the length just wasn’t quite right (and I couldn’t make them longer!) so even though they look fabulous in the mirror, they weren’t going to get worn again. How is this not a capsule? Another good question! To me a capsule is finite. Once you’ve decided what’s in there, that’s it. This isn’t necessarily a bad thing, but it makes me personally feel a little claustrophobic and that’s not good. This lean closet idea I’m working with leaves room for improvement as you go, even if I don’t add anything for a few months I like to know I have the option. Really it just comes down to the phrasing! I like the sound of a lean closet more than a capsule closet. Overall, I see this approach as a way of life for me more than an exercise. I chose not to include accessories like bags, hats, scarves and jewelry. That said, I’ve edited my collection in each category and feel great about the options I have left. I reserved a pair of dress pants, a blazer and a couple silk tops for formal/corporate work meetings but I suspect those will be the next to go as my job requires less and less in terms of formal garb. I also reserved my special occasion items like a fancy silk jumpsuit, a full skirt and a black crane dress, which are great for weddings and other more dressy events. I also opted to leave out my workout gear (which is basically nothing) and camping gear which will be getting a proper edit in the summer before we go again. Oh, and my underwear drawer didn’t get involved but it’s in need of an edit asap. I removed about 1/4 of my shoes but wasn’t prepared to edit further at this point. I’ve invested in really good quality footwear over the last few years and it just didn’t seem right to give up good options just to reach an arbitrary number. As the season goes on I do plan to watch my usage carefully and anything that collects dust will go out with the next edit. 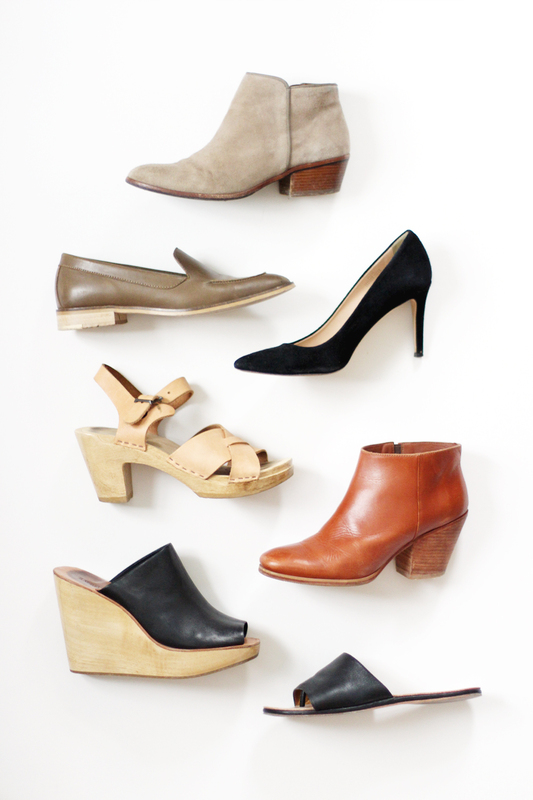 My current favourites are my Mars boots, Everlane loafers, The Palatines Slides and my Pistols (not shown). You might consider this cheating but I kept all my good condition t-shirts (which adds up to 16). They take up very little room in my closet and I feel like I finally have all the basics I need for the seasons ahead. Of course, I’ll be watching how much they get worn and anything untouched by the end of the summer gets the boot. 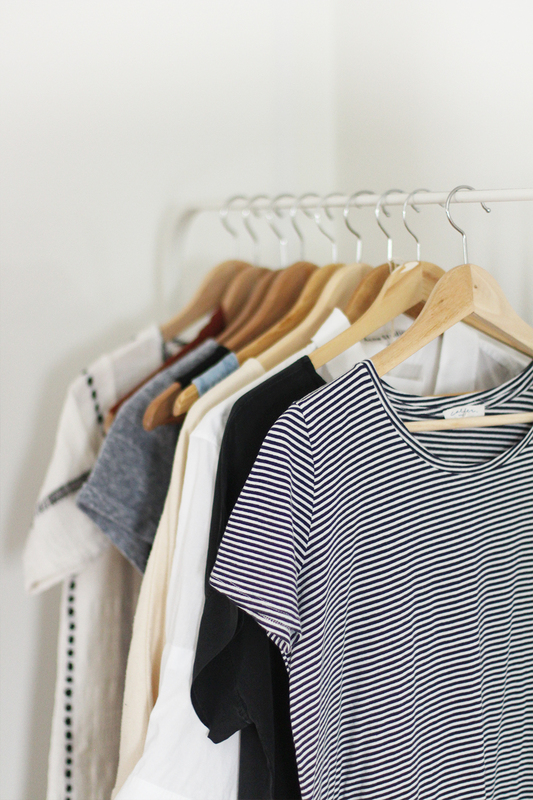 My favourites are the U-Neck by Everlane (black, white, grey), the grey V-Neck by AMVI and the striped (slightly cropped) Crew-Neck by Community. 1 – The 1 in 1 out policy. Every time I add something to my closet I’m going to eliminate something. So that means I have to like it and plan to wear it way more than whatever I’m parting with. 2 – Shop Small and Ethical. 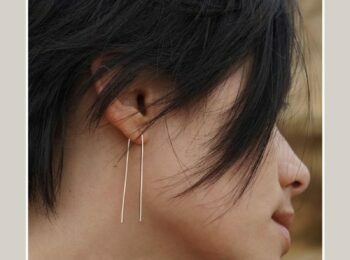 I’m officially committing to shopping from independent makers and brands that are producing their products ethically. This was a big decision for me so stay tuned for more on that soon! 3 – Frequent Edits and Assessment. I’ll be assessing my wardrobe every couple of months to make sure I’m not letting things slip. I’ll be sharing more on how I’ve been defining and assessing my personal style too. 4 – Do More With Less. 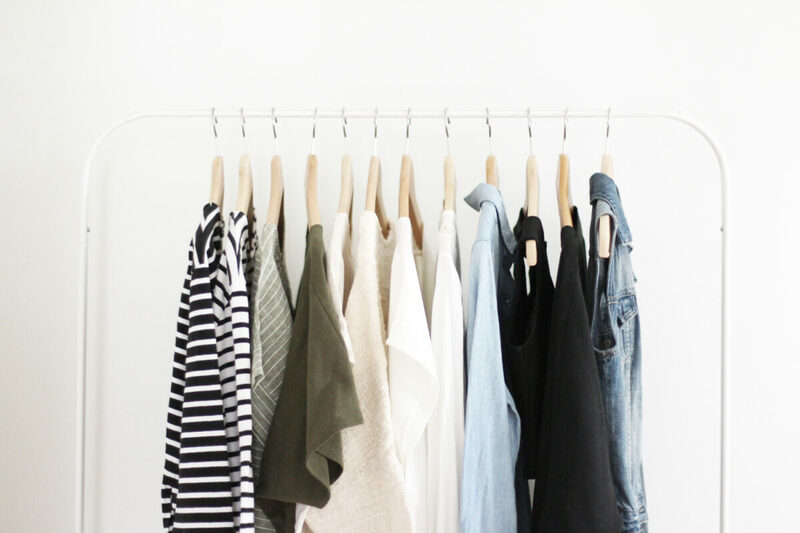 I’m planning another 10 x 10 Spring challenge and working on some fun posts about using colour palettes to make the most out of a minimal closet. 5 – Enjoy What I Have. I’ll be sharing more in-depth looks at my favourite pieces and why I feel they’ve made such a positive difference in my life and style. Thanks for reading and joining me in this 2016 Closet Mission! Now I’ve got a few questions for you! 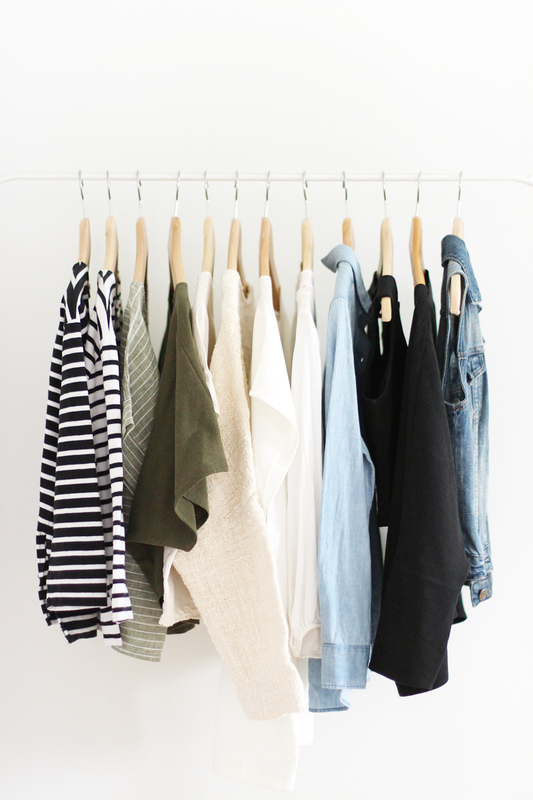 What do you think about reducing your closet to 50 pieces? Could you do it? Could you reduce to even less? 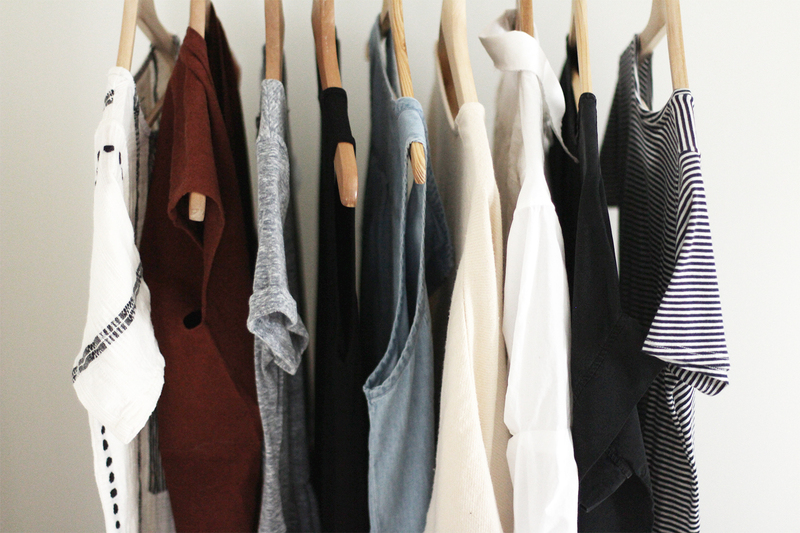 Are you a capsule girl or a lean closet lady at heart? I’d love to know if you have any editing tips or stories about parting ways with long-time closet items! Feel free to let me know your thoughts below. Do you still keep your spring/summer wardrobe to 50 items today? Also, do you have a post like this for fall/winter closet? Oh i meant to ask – what size do you have in the cashmere crew? Thnks! Love the lean closet movement and your post is bang on. Today, more than ever, I feel that people can do with less “things” and this includes clothing, and more life experiences. 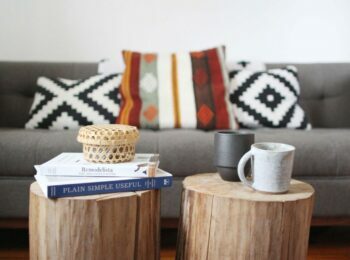 I have been following bloggers and vloggers who have trimmed their possessions and shared their experiences. As for myself, I have removed items from my closet and boxed these away. I think I have around 70 items (not including shoes, bags, workout, sleepwear and underwear). Can and will trim some more. I have also unsubscribed to emails to help with the shopping urge. I try to buy what I need (and this term sounds silly as we really do not need more clothing). For example, I have my heart set on a denim skirt. I might get one and get rid of a black denim one that I used to wear religiously. But in reality, this act of buying will not truly make me happier. I feel at odds with what I should do and what I am actually doing. Not sure if this resonates with others, but I will try to continue down this path of less is more. Love your blog! Keep up the great work! 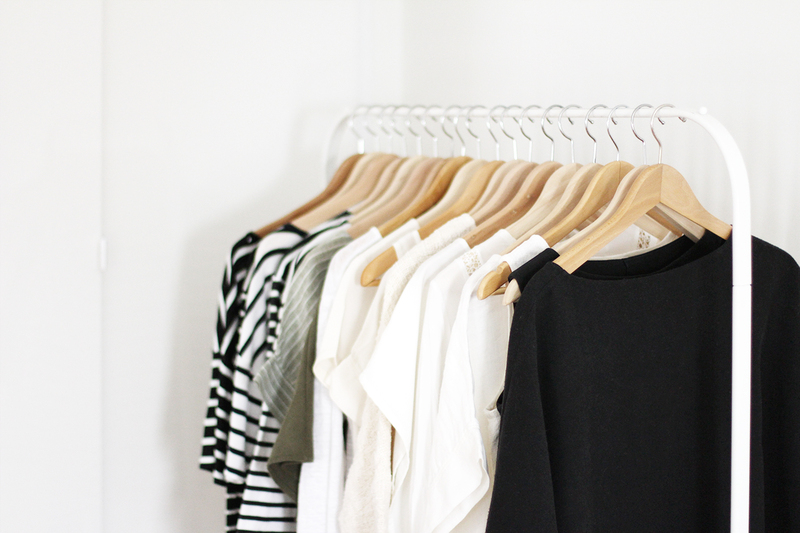 Wow, I’m so impressed with how streamlined and elegant your closet looks. I’ve been really looking at my wardrobe and have cut down a lot lately, but nowhere near 50 pieces yet! Needing corporate officewear makes things a bit more complicated too. Firstly, I really do admire you tenacity, clarity and discipline when it comes to your wardrobe choices. I think I’m beginning to move towards a leaner approach but I still need plenty of practice in that regard as I’m relatively easily influenced. One thing I noticed though is that I’m beginning to care more about quality than quantity ever since I encountered blogs like yours. It feels rather nice to own things that I love rather than having tonnes to choose from for the sake of having choices. Can’t wait to hear more about your journey. 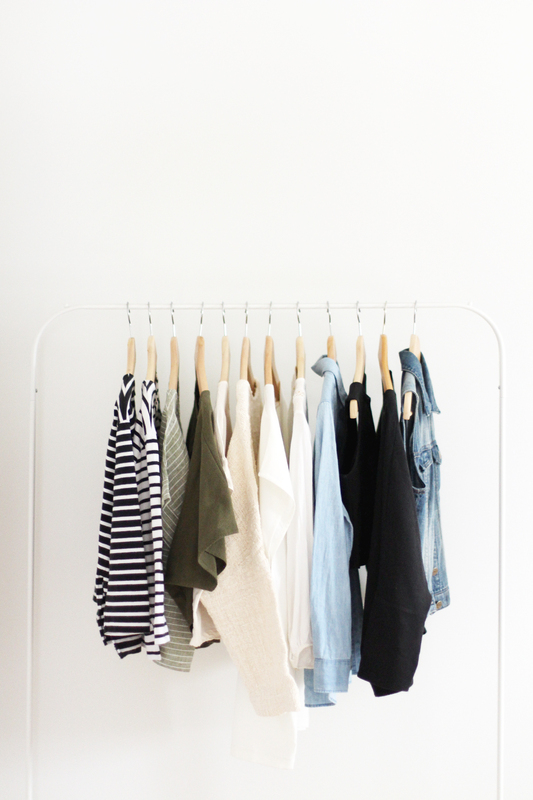 THIS is what I have been looking for: a leaner closet but not a defined capsule wardrobe. I felt the capsule, though useful as a tool, was too limiting, trying to reach an ideal number of items without necessarily considering the utility of the items. My ideal number for my wardrobe is around 56 (5 categories of clothes times 7 pieces or multiples of 7 pieces each) but this is just an estimated target, not written in stone. I also have about 15 t-shirts and really did not feel the need to reduce this number yet. As they get worn out, I will just replace them less often and naturally reduce the number to about 10 or so. I can totally relate to you when it comes to footwear: I have too many pairs right now but many are good quality and I will reduce this category slowly (I have about 25 pairs including gear and snow boots – I am Canadian too). 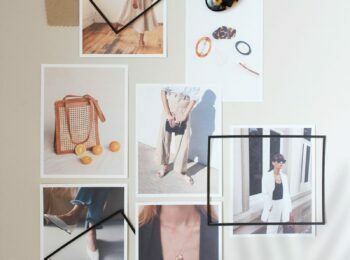 I also am a bit tired of all the minimalism and capsule wardrobe blogs and you-tubers out there, but I am also happy that this is becoming more mainstream and that excessive consumption seems to be waning. This is more how previous generations did things and I am glad we are returning again to common sense. LOVE LOVE LOVE this post! 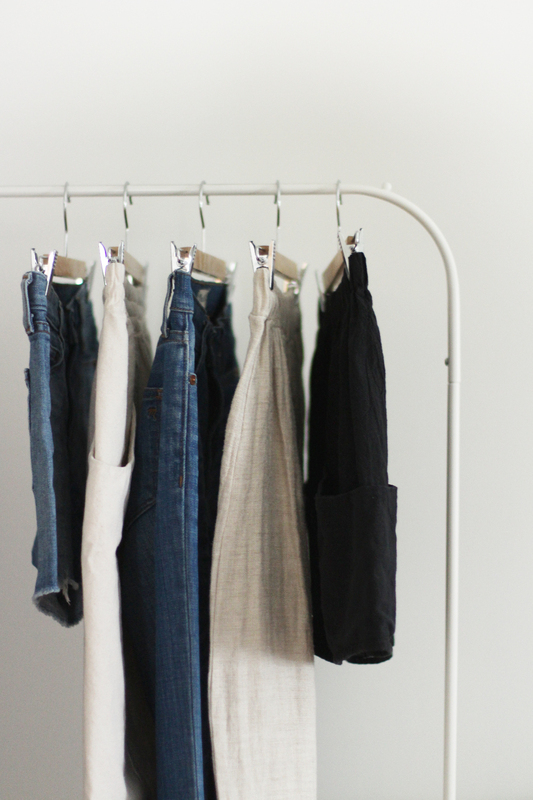 I recently wrote a post entitled ‘my not a capsule wardrobe’ because, much like you, a capsule wardrobe seems too…strict? It doesn’t leave room for adding, intentionally. And while a capsule wardrobe is great for some, it’s not quite for me as I’m trying to build a wardrobe I love – based on intention. If I have to put a name to it I’m calling it my ‘intentional wardrobe.” I don’t want to limit myself to a certain number…but I’ve never been a big shopper so I don’t imagine it’ll get too out of hand – I probably have less than 20 pieces right now and I’m adding slowly and steadily…focusing on quality over quantity, shopping more ethically, and from smaller brands (local and afar). In this way, I’m building a wardrobe I truly love. Thanks for a great post! 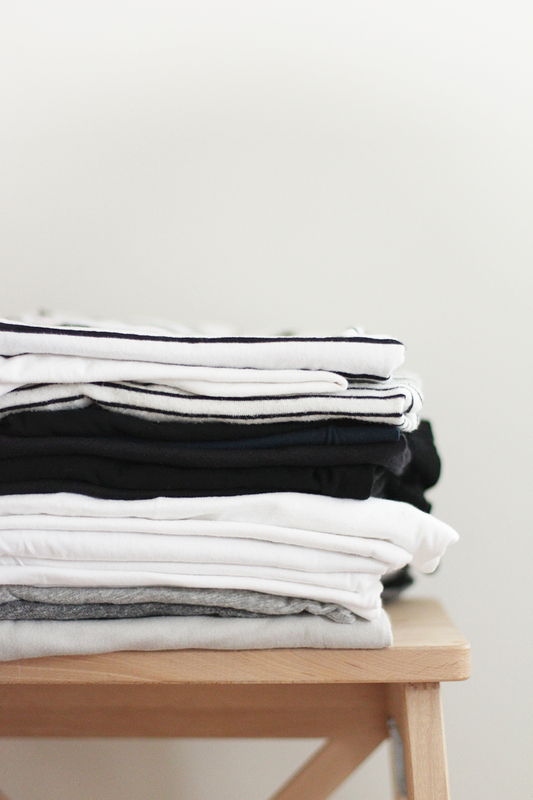 It’s so refreshing to hear you kept 16 t shirts as part of a lean closet. I have a similar number after my latest purge and I always felt like I wasn’t getting rid of enough, but they are a huge part of my favorite outfits (and I live in a climate where it’s winter 6 months out of the year and barely gets above freezing so I have to wear layers daily). It’s also nice to hear your story about your too short pants. I find it so hard to part with things that look great but aren’t quite right when I wear them out of the house. Thanks for the inspiration and to remind myself to accept my own normal when lots of other people are promoting increasingly smaller closets. This is amazing and so inspirational. I too, did an edit at the start of the year, and while I got rid of a big bag of clothes, I still have quite a bit in my closet still. I think it gives me anxiety to only have 50 items. There are pieces that I gravitate toward for sure, but I wear all of my other things too…not as much, but I love having options and getting really creative with my closet. Then I see a closet like yours and love it! Ah the struggle is real! Maybe at the mid-year point I’ll try to go through my closet again! Love this! 50 items feels like a more attainable number for me. 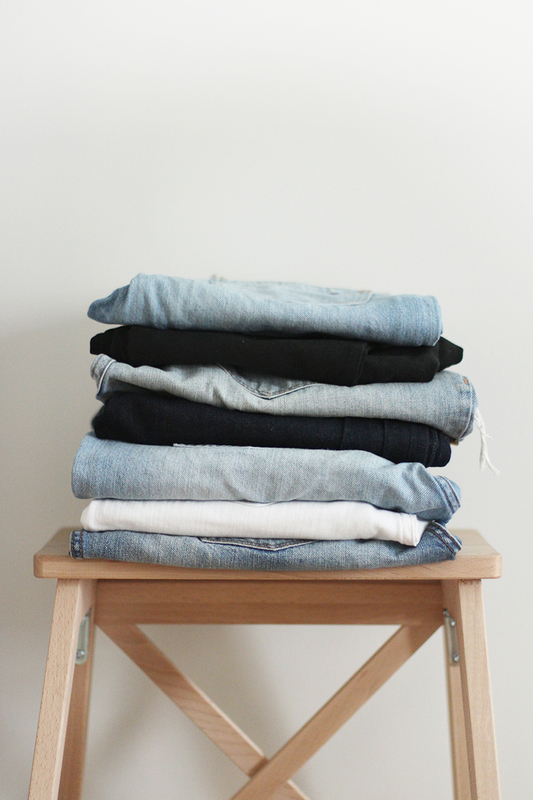 Do you store your fall/winter pieces during the off-months? I do the same, but with less amount of clothes. I m trying to get a minimalist life style, especially when it comes to clothes, so I am doing something this year I have never done before, I’ll reduce my items to just the items that will satisfy 8 outfits (I only shoot twice a week ) with my college wear (which is about my 4 sweaters and one pair of pants) and lastly a night dress, just in case. Also I’ll have 1 in and 1 out just like you do to keep this track. I hope we both get what we want. This is such a great post! I’m kind of doing something similar right now. I don’t like to keep clothes that l don’t wear. Great read! I have been editing my closet for a while now and still have alot of work to do. 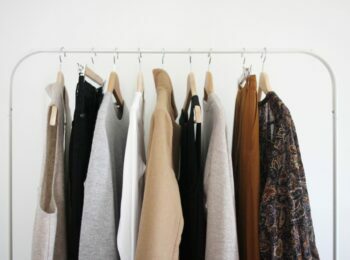 This article has opened my eyes to some things that I can do to become better at editing and making my closet cleaner. I donate my clothes to charity and I am a specially fond of donating to “wings for success” which is a group that helps women to obtain jobs and provides them close for the workplace. There is also another organization called “dress for success” which is more national and has more branches. I know that I could make money by selling my clothes however I think this would take longer and would mean the clothes would be laying around the house for longer periods of time. I can’t wait to read more about what you have to say. Like most women, I had a closet full of clothes but nothing to wear. Less is definitely more. It makes more sense economically and mentally. This is such a great post. Fascinating to hear your process and I love the lean closet idea. I have done a year of capsules which was a helpful structure for me get a better idea of what I had in my wardrobe and my gaps. I’ve kind of gotten a bit lost now as I’m changing my style and exploring other silhouettes. The idea of supporting sustainable, local designers is very appealing and I have recently purchased some Kowtow tops (a local New Zealand designer) which I adore. Thanks again for this post which I will be re-reading! Wonderful post Lee! Thank you for sharing! I admit I won’t be able to keep just 50 pieces, I have real hard time to get rid of things 🙁 and I usually rush to get another one (or even 2 or more!) if I like the clothes I am wearing very much, worrying that I will wear it off or it will sell out! I might have a slight tendency of hording?? But your post provides great guidance and idea when it comes to clean up closet. I regular get rid of clothes I pack away, if they are in a box it’s a sure sign I don’t need them. However, sometimes I look at a piece or try it on again and I thought: I like it, or, it looks good, it will work with such and such piece, then it’s back to the closet! Does it ever happen to you? I must say I don’t quite get the whole capsule thing yet, but sounds to me that it is rather restricting. You have this many pieces for the season and you are only wearing them? Perhaps I misunderstood? Living in mild weather in California means I can wear pretty much all kinds of clothes I have, I like mixing up so the whole capsule thing does not seem practical to me. Really love your posts, always so inspirational! Looking forward to more! Thank you so much Echo! Your honesty is very much appreciated. I used to have all the same habits as you and it was tough to break them! For me the turning point was deciding that I couldn’t keep spending all my money on clothes that I hardly wore and didn’t even feel like myself in. It was also really beneficial to properly define my style so I had something concrete to refer to anytime I was tempted to shop. 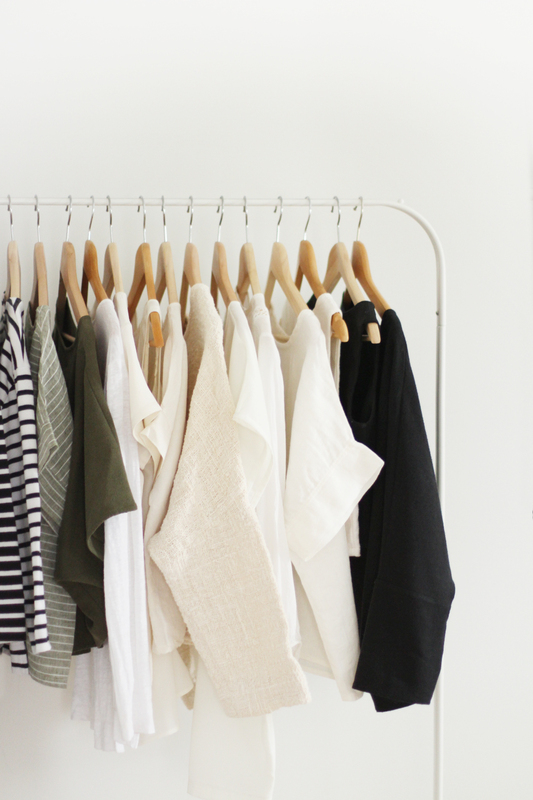 You got it, capsule closets are essentially a certain number of items that you mix and match all season without adding any additional options. It’s a great exercise in restraint for sure! You’re lucky to live somewhere that you can wear what you please. I’ve been wearing a parka and rubber boots every day for months and I’m definitely over it! Lee, what a fantastic post. I really do love the time and attention you give your Closet Mission posts (and everything on your blog for that matter!). I really love the next steps you ended on, particularly #1 and #2 (yay!! ), and I am excited to see your next 10×10. I was just about to pull out my spring and summer items today and sort through them, I would guess i am close to 50, but really I am not sure! I know there are several items that I am ready to clean out. It’s so easy to hang on to things ‘just in case.’ But the more I let go, the easier it gets! 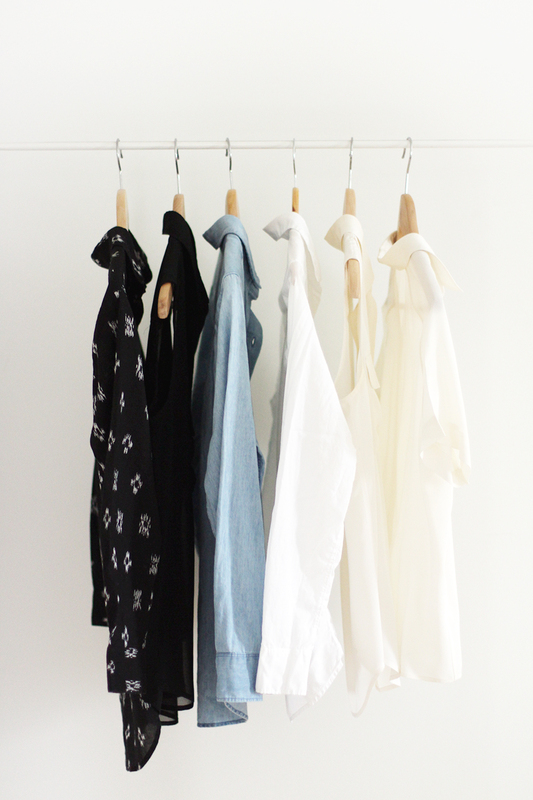 As for the capsule vs. lean closet… What great insights and thoughts you shared! I am not quite sure where I land at the moment. Creating my first capsule (quite awhile ago now) is what launched me onto this style-finding journey, and I feel like it has been a vehicle and not necessarily the destination. 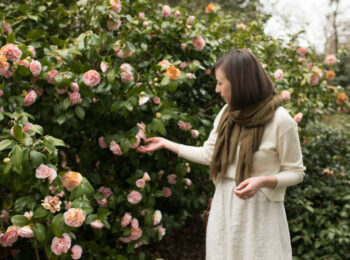 It does make it much easier for showcasing a wardrobe on a blog, but who knows what spring will hold for me! Thanks for being an encouragement to us all, and I can’t wait to see you style some Jamie + the Jones, I’ve recently discovered them and I can’t get enough! Andrea you are the best! Thanks so much beauty! It’s totally the ‘just in case’ items that are the hardest to let go of. I’m the worst with jeans and dresses that are just a bit too small. I always think, well I might magically lose 10 pounds and they’ll fit again! Nope! Haha this time anything that doesn’t fit and feel great right now had to go. Your winter capsule was awesome (as are all your style posts) and it was one of a few posts that really made me think about doing one. I think you’re right though, it’s really great as a style finding exercise and SO convenient from a blogging stand point. If you do a spring one I’m sure it’ll be fabulous! I’ve also gotten to the point where I roll my eyes whenever I hear “capsule wardrobe” (and, sorry to say, any time someone mentions The Life Changing Magic of Tidying Up), but I still greatly appreciate the sentiment. 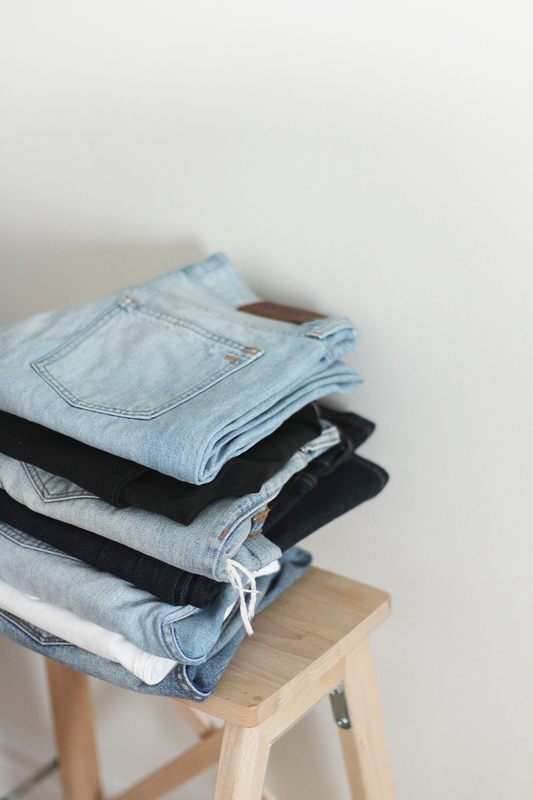 Like you, I’ve realized a lean closet is more my speed, so this post was greatly appreciated. Sometimes it’s hard to nail down exactly how to achieve your goals, but you’ve done such a great job of it. I especially relate when it comes to supporting independent brands; it’s a philosophy that’s really become central in my life as my husband and I own an independent bookstore and know firsthand how important that support is. It’s not always easy to exclusively support independent brands, but it’s a worthwhile endeavor. This post helped me understand some of my own desires for the year and my wardrobe in general, so thank you for posting! Just out of curiosity, what do you do with the items you edit out of your wardrobe? I’m so town between selling and donating. Some items I’ve paid a decent amount for but often the hassle of selling and knowing I won’t get what the item is worth makes that route unappealing. Thoughts? That is amazing that you and your husband have a bookstore! I’m sure it’s an absolute gem. I take all my good quality items to my local consignment shop and they’re amazing. Anything that doesn’t sell in a month or so gets donated to ‘Dress For Success’ so I know everything is going to a good home one way or another. I’ve managed to make back a decent amount of money too which helps a lot. Oh my goodness, what a compliment! That means so much! I’m looking forward to hearing from you! Absolutely loved this post! I long ago adopted the “lean closet”mentality and can honestly say it was the best decision I ever made. Like you, I choose to keep a closet of well-made, high-quality pieces that I can wear time and time again. I look forward to reading your upcoming posts 🙂 Keep up the great work! This was a great post! I love the lean closet concept. I’ve always been a minimalist at heart, being ruthless about getting rid of excess. But I could not get fully committed to the capsule wardrobe. It felt too limiting and for me minimalism is about freedom. 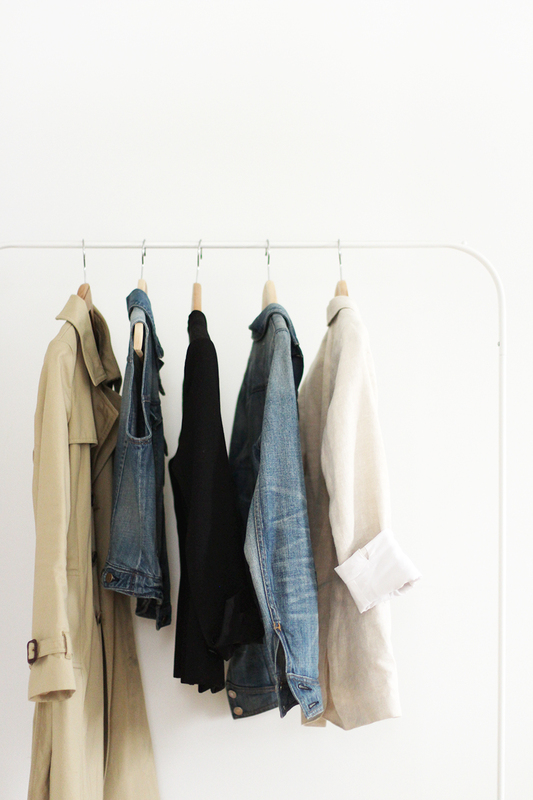 A lean closet makes a whole lot of sense! Having freedom without going overboard. Awesome post. I was so excited to see it this morning! I have been getting serious about my closet edit, but my thoughts on it are still all over the place. Most of my unrest comes from the fact that I have to dress business casual Monday-Thursday (slacks, khakis, dry cleaning!). So if you have any advice on how to merge “9-5” with the fact that I feel like my best self in jeans and a tucked-in tee please share! I am a conversative closet lady, meaning I still have items I bought 10 or 20 years ago ( yeah, I know). This year we are moving back to France after more than 10 years in Canada, so it will be a massive closet purge. But I’m pretty sure I will hang on to some things I have not worn in years because of the weather. Moving from extreme weather swings to a very temperate aerea will definitely inform my choices. I wish I could reduce down to 50. I might though because my body and my tastes changed in 10 years, so there is certainly going to be a bunch of things that just won’t work anymore. And others I will give to my teenage daughter who is now as tall as I am. Please continue your Closet missions, they are very inspiring to me, even if I have not taken the time to do one myself, not yet anyway. The move closet purge will be a first big step. Is this a bad time to say I’m doing a capsule wardrobe? ….. LOL!! This post is absolutely phenomenal! I didn’t even know you were doing this, but I’ve edited my entire wardrobe to under 100 pieces. Not including undergarments, shoes, hats, gloves, jewelry (I have under 15 total pieces), and workout clothes (I have 4 tops and 2 yoga pants). I know what you mean about purging. Having a lean closet feels amazing. Getting rid of stuff you don’t need feels amazing. Always having something you love to wear feels amazing. Are you going to still occasionally shop at Madewell, Gap etc? You shop at a higher price point than I can, how do you decide your budget? What does your common law husband think of your wardrobe/ lean closet? Thanks for sharing, and I can’t wait to see more of these posts. Besides monthly vibes these are my favorite!!! Jodie! 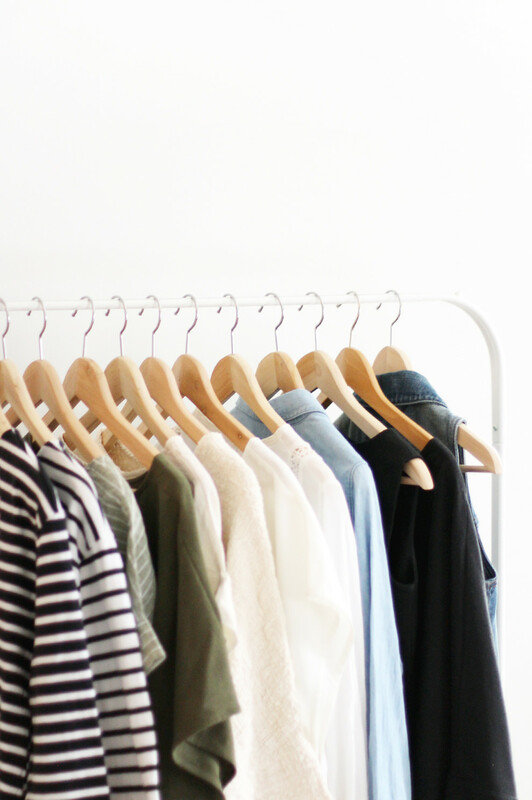 So glad you liked this post 🙂 Thanks for sharing a bit about your own lean closet! It feels really great doesn’t it? Thanks for reminding me about items like workout clothes and undies, I’ve added those to my list too. The hardest part about committing to supporting ethical and independent brands is that a few of my long-time favourites aren’t very transparent about their production process (ie: Madewell and GAP). As much as I love some of their styles and products I’m going to focus my purchases on brands and makers that are transparent and making beautiful clothes. It will mean shopping less because independent brands are often more expensive but I am going to be very cognizant of that and share similar options at a range of price points whenever possible. My budgeting system still needs work. But I mostly look at my upcoming expenses (mortgage, taxes, hydro, car, food etc. ), savings goals and if both of those are met and I have extra disposable income I will pull the trigger on something.